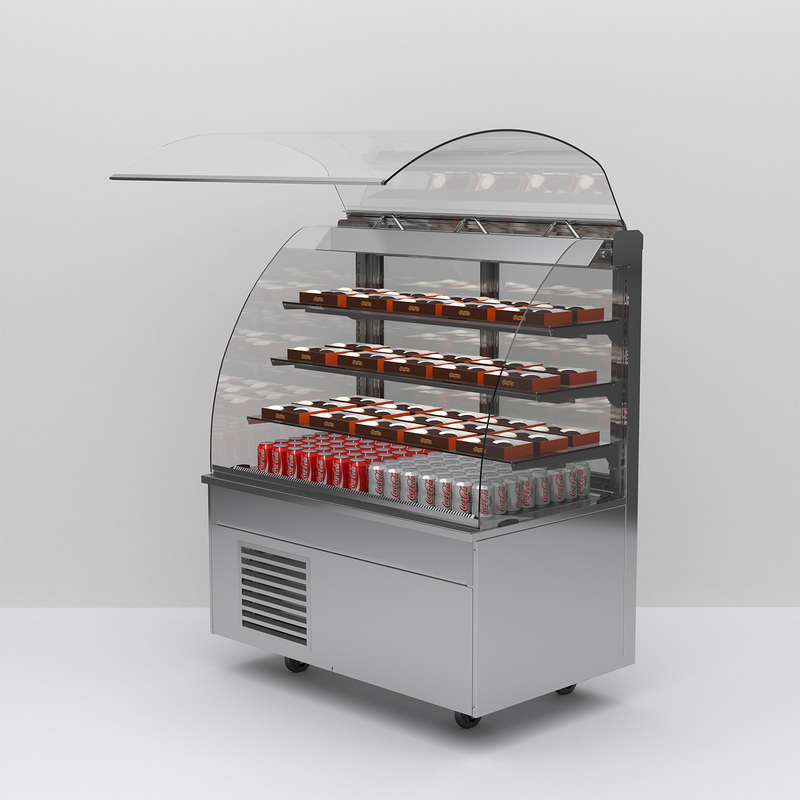 • Open fronted display maintains food at a regulated temperature. 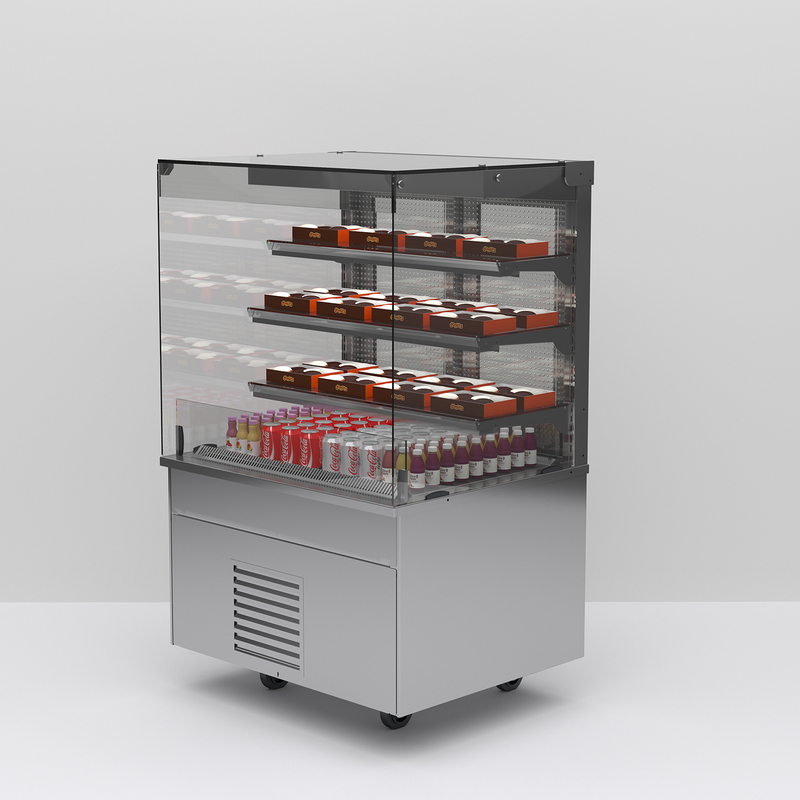 • Ideal for sandwiches, filled rolls, dairy products, drinks etc. 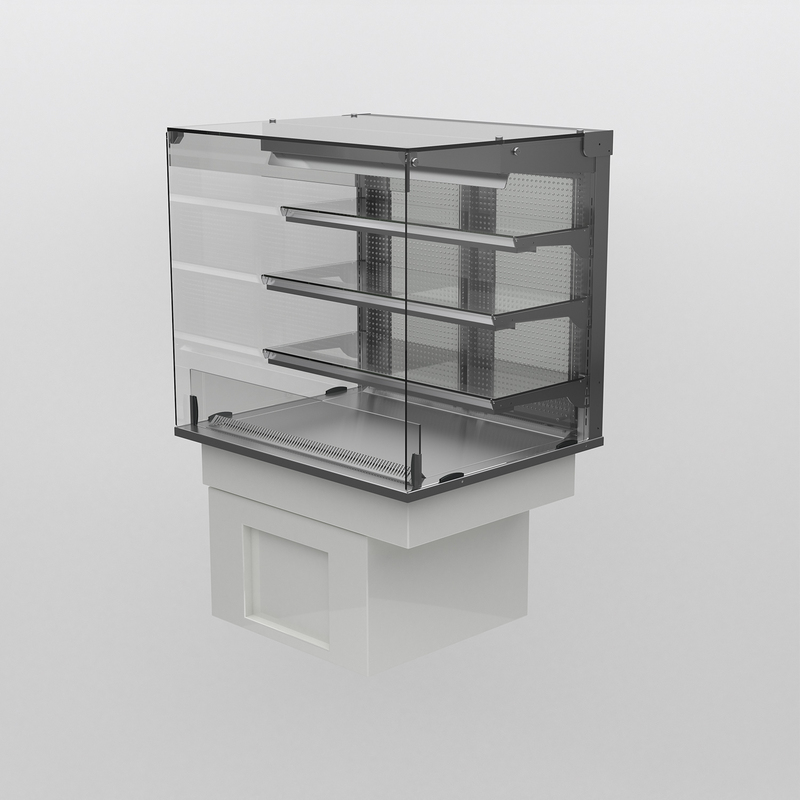 • Three glass shelves with LED illumination to all shelf levels. • Castors included as standard which give an overall height of 1465mm. 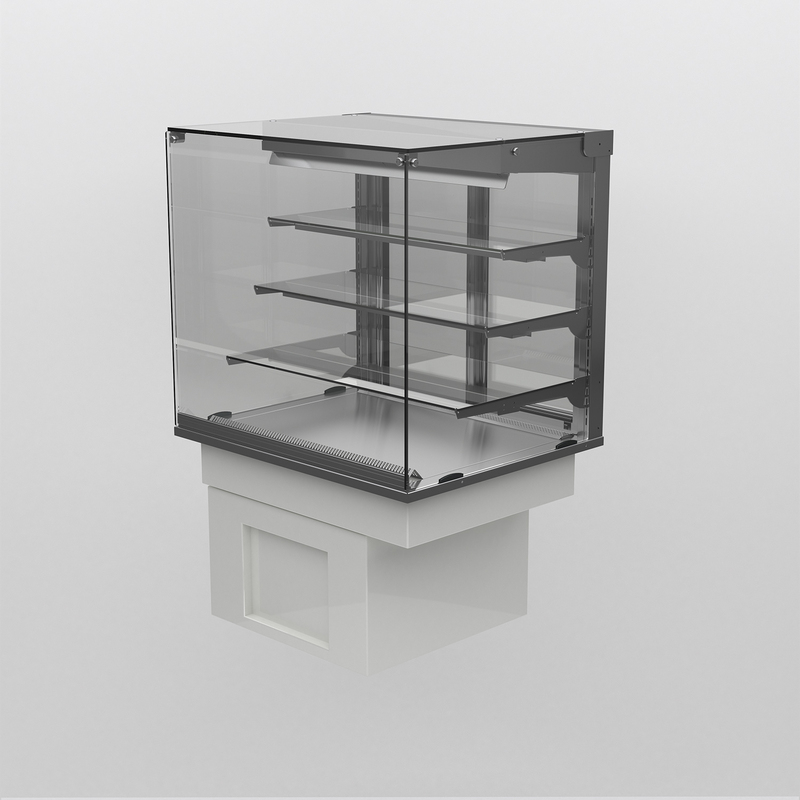 • Adjustable low level feet reducing overall height to 1400mm available as an optional extra. 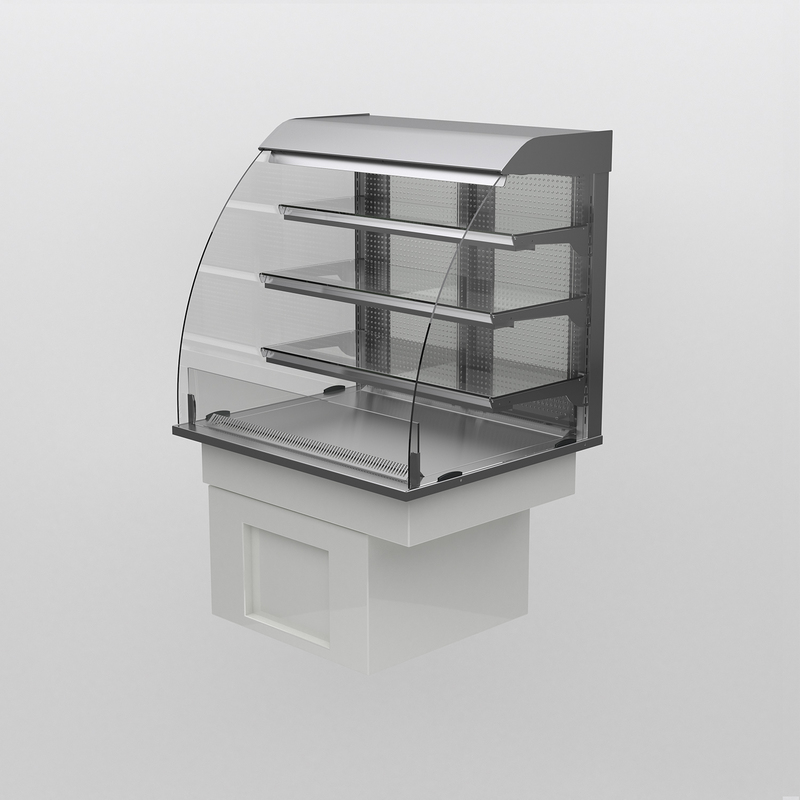 • Integral fan blown refrigeration system. 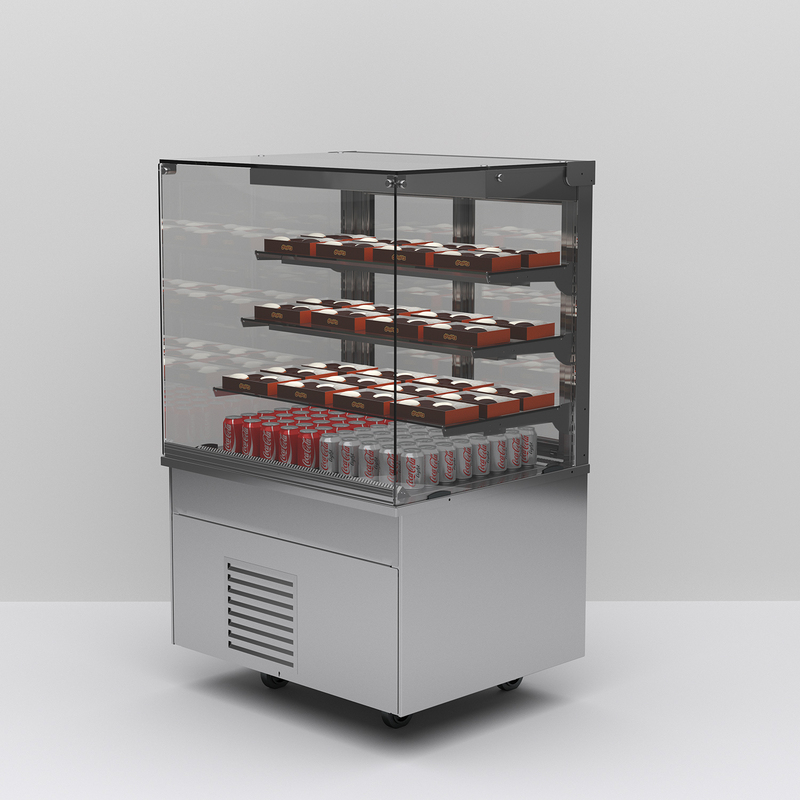 • Eye level electronic controller installed on operators side (GO) with rear doors. 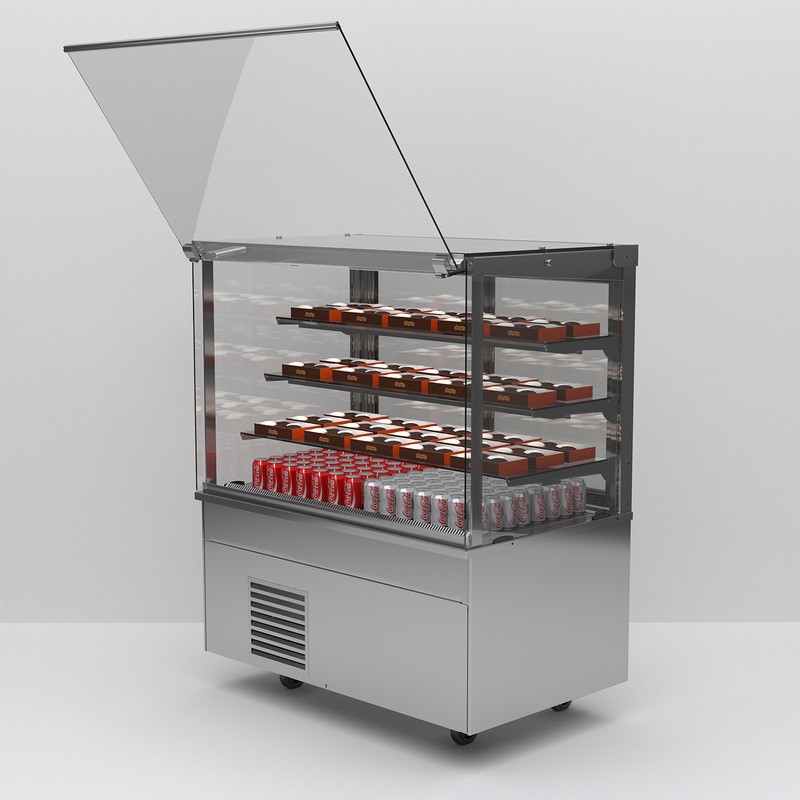 • The electric controller can be installed on customer side (GC) with fixed back. 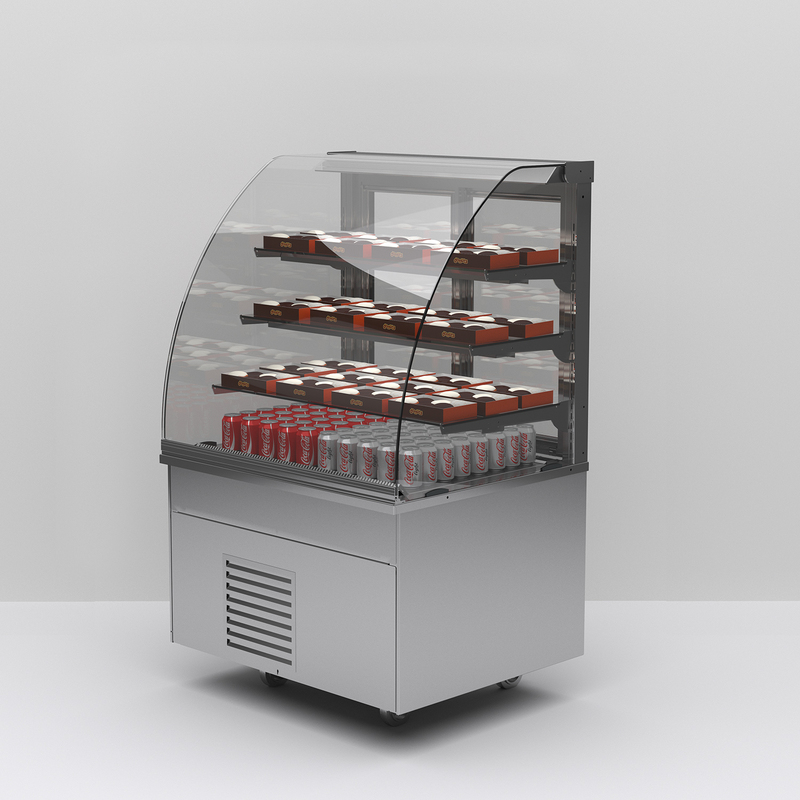 • Fully enclosed display maintains food at a regulated temperature. 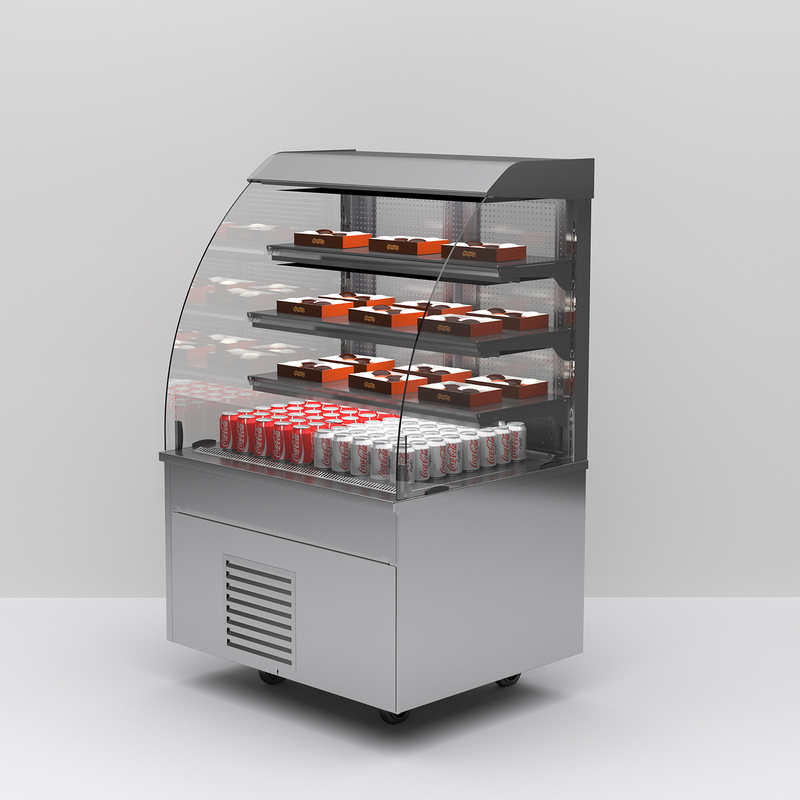 • Fully enclosed display maintains food at a regulated temperature with access for assisted service. 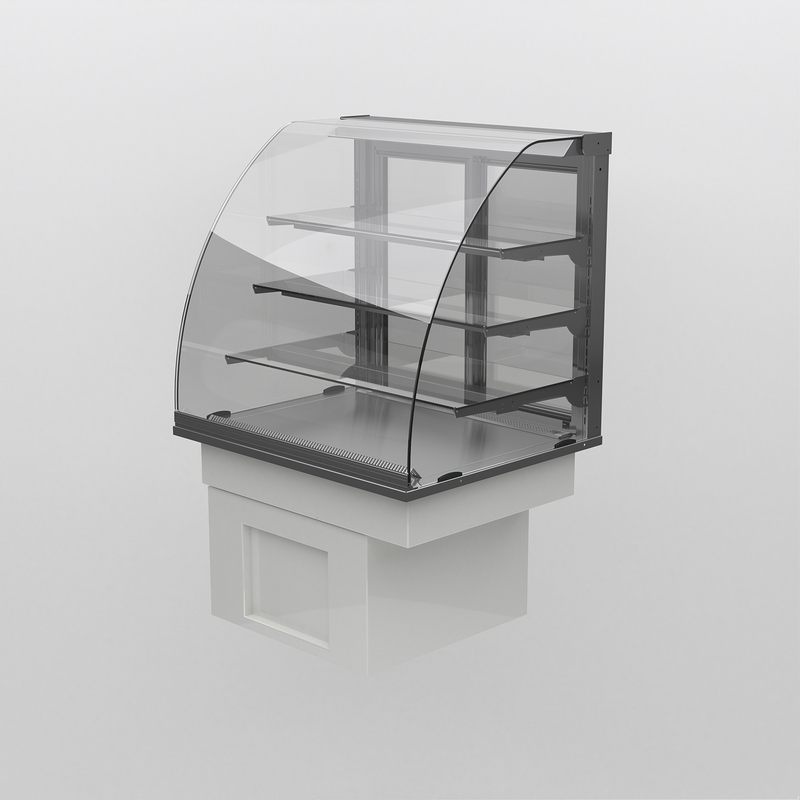 • Front glass lift panel with hydraulic gas assisted hinges.